CONTENTS. – The Arcadian Academy – The Musical Life – Metastasio and the Opera – The Comedy of Masks – Goldoni and the Realistic Comedy – Carlo Gozzi and the Venetian Fairy Comedy. W. SATCHELL & Co., 12, Tavistock Street, Covent Garden. “Mr. Vernon Lee, if that be the author’s real name, has written one of the most fascinating books that it has been our good fortune to meet with for a very long time… A singularly delightful and very able volume.” – Westminster Review. “Of the fascination of this book there can be no question. Its style is eloquent, without the slightest tendency to rhapsodise or to exchange the measured language of thoughtful criticism for the mysticism and the affectation so much in vogue of late among professors of aesthetics. Subtle and penetrative, felicitous in the choice of the epithets, picturesque in description, rich in happy allusions, and manifestly inspired by sincerity of conviction, these essays cannot fail to charm.” – Daily News. “The writer who has adopted the name of Vernon Lee is happy in the choice of a subject, to which as yet very little attention has bee paid…. We have said enough to show that Vernon Lee’s book is eminently suggestive, and we shall be surprised if it has not the effect of turning many other inquirers into the same field. On his last page Vernon Lee shows a shuddering foreboding lest the things he has been speaking of with fervour become a fashionable rage. Perhaps Vernon Lee may himself contribute to his result.” – Academy. 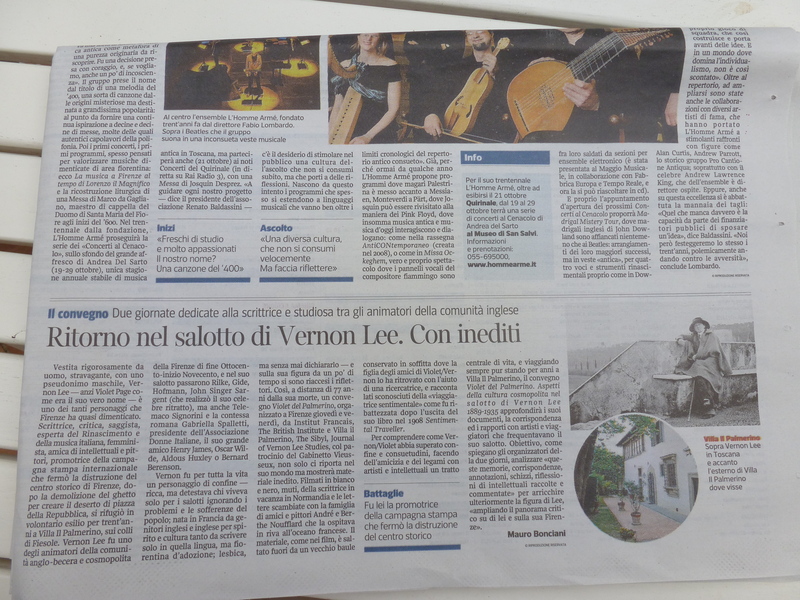 “The learning and fancy of Mr. Vernon Lee have enabled him to reconstruct the life of the Italian musical world of the last century…. Certain pages of this book quite bring us into the midst of the poets, the composers, and the singers of a hundred years ago…. The chapter on Metastasio ought to be translated as a whole, and should be read by every one who cares for art and for Italy…. The chapter on Goldoni is rich in sterling, subtle, and new observation…. Throughout the volume we are in the presence of a subtle and imaginative critic, of a picturesque and vigorous writer, of one who has profoundly studied a subject in which he takes passionate interest, and who has written of Italy and Italian art with a wonderful artistic intuition, comparable only with that shown in some of Robert Browning’s poems Italian subjects.” – Fanfulla della Domenica o Rome. “These studies show a wide range of knowledge of the subject, precise investigation, abundant power of illustration, and healthy enthusiasm. . . . The style of writing is activated, neatly adjusted, and remarkably clever ; combining (we might say by way of indication), something of Mr. Wedmore and of Mrs. Pattison, with a spice of Mr. Pater, and another spice of Mr. Swinburne. . . . On the whole it can be cordially recommended as treating an important and little known theme with conspicuous ability.” – Athenaeum. “Much detail in musical and dramatic matters may be pleasantly learned from Vernon Lee’s volume.” – Saturday Review. “Mr. Lee has brought his subject a great amount of citreous and recondite learning. . . . Mr. Lee. throws plenty of vigour and colour into his portraiture. His style has a certain robustness, while his criticism is often just and even subtle.” – Spectator. “The rare qualities of this learned, subtle, imaginative, and eloquent critic, who writes on the Italian art of the 18th century with a most remarkable richness of facts, and with a judgment lively, just, and penetrating such as is really wonderful in a foreign writer. The main idea of the book is to determine the place occupied by the musical drama in the history of the Italian mind. . . . and he demonstrates it, reconstructing with much art and learning the whole musical life of the day, with its poets, its composers, and its singers. . . . We have been able to give our readers only a very pale idea of this book which paints with great truth and energy, and with singular vigour of style and colours, the whole manifold aspect of the Italian artistic movement of the eighteenth century.” – Rassegna Seltimanale of Rome. “We know no one who has hitherto studied Metastasio better than Vernon Lee; nor do we know any works on Goldoni and Gozzi comparable to those of this author, or any writer who has preserved a better general picture of the development of our comedy of masks.” – Giornale di Filosofia e Lettere of Naples. “This thoroughly interesting and in many respects admirable book. Mr. Vernon Lee’s description of the opera and everything pertaining thereto in Italy during the 18th century, is full of interest and charm.” – St. James Gazette. “This book shows a subtle and cultivated mind . 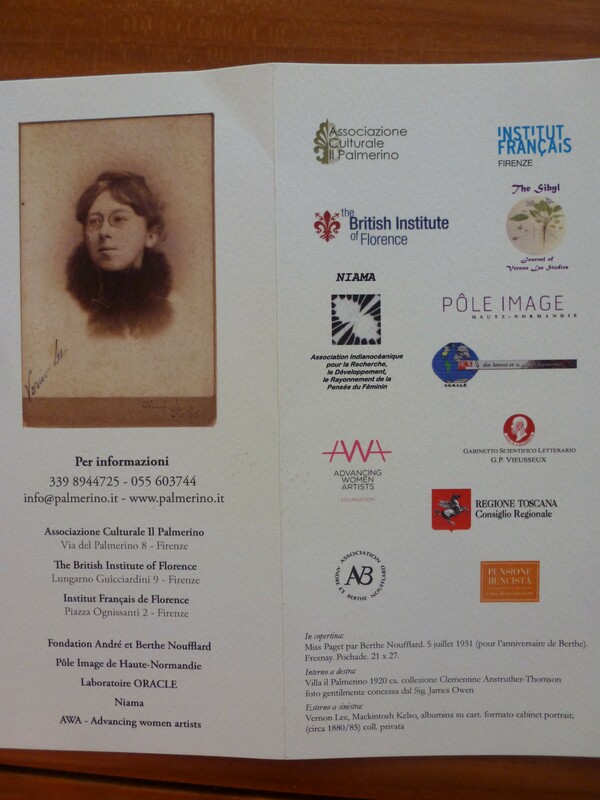 . . and is replete with fancy and literary talent.”– Rivista Europea of Florence. “ . . . We meet a crowd of facts and of anecdotes which present to us that musical world in its whole being, so that we feel as if we were living in its midst. . . . In his very beautiful chapter on Metastasio, Vernon Lee follows his life step by step, and paints his character in a masterly manner. . . . We confess that after finishing the book we put it down with unwillingness. This is true life, revealed to us in brilliant and various, but never exaggerated colours. The severity of his studies and the patience of his research are evident at every step.” – Nuova Antologia of Rome. “These studies provide an unusually pleasant excursion into a rarely visited field of research.” – British Quarterly. “Gli studil che il Vernon Lee pubblicava a Londra lo scorso anno sul seco agn ci che nell’ arte lo decimo ottavo in Italia sono un’esposizione m ifica di italiane di quel tempo si pu~ salutare per veramente nostro, la musica c il dramma. In questi studii, alla molta dottrina c ad un finissimo acume critico s’accompagna quella potenza di fantasia c di sentimento che propria dell’ artista. . . . Questo libro ben meritava che uno dei nostri principali editori ne procurasse all’ Italia traduzione. di quelle letture che danno Una vera soddisfazione intellettuale, colla novidL di molte Yedute rendendoci ragione di assai fenomeni e ad essa pc’ suoi pregi artistici si pub tornare pi~i volte con piacere ~empr~ crescente : quei pocti, quei versaitioli, quei cantori, quelle cantatrici, quel compositori, quegli eruditi, quei gentiluoinini, quei borghesi, colle lore, vanit, colle loro passioni nobili o malvagie, c avvolti tutti in una nuvolaglia di cipria, profumati tutti d’ acqua di rose, ci danno quasi Villusione di respirare noi pure in pieno secolo decimo ottavo.”ALESS. ARNABOLDI, Preface to Italian Translation Milan, 1882. BELCARO, BEING ESSAYS ON SUNDRY ESTHETICAL QUESTIONS. W. SATCHELL & Co 12, Tavistock Street, Covent Garden. “There is much in this thoroughly original and delightful book which reminds us of the essays of the 18th century. The author has not been in a hurry to write it –it seems almost an accident that called it forth ; it bears no trace of that strain to express thoughts half developed, to steer through intricate channels of doubt to a doubtful goal, which characterizes so much of the writing, and especially the writing on art, of the present day. 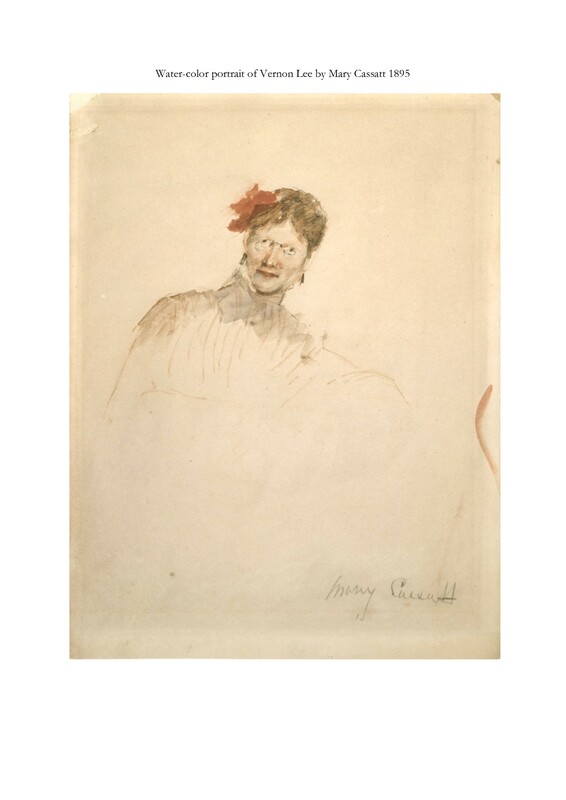 Having lived from childhood among works of art, and taken in the pleasures of painting and sculpture and music, like air through the pores, without analysis of delight, the writer’s opinions appear to have formed themselves unconsciously, to have grown with him till they obtained a ripeness, which demanded expression. . . . It is rare indeed to find so much thought conveyed in so easy a style; to find a writer who has so much that is fresh to –say–, but has so fresh a way of saying it. Such thoughtful abandon cannot be obtained by the greatest care in adding up a subject ; and though no doubt there is in the spontaneity of the style and the unstudied form of each essay, much of that art which conceals itself, the book throughout has the flowing freshness of a natural spring in the reader’s mind which no other WORD . This way of conveying ideas is very fascinating, and has an effect of crag activity mode can equal. From first to last there is a continuous and delightful stimulation of thought. The book will lead to conversation, dreaming, speculation, and all kinds of pleasant and healthy mental exercise; and it is interspersed with such perfect little sketches scenery and passages of so much eloquence, that it is a literary treat to read it.” – Academy. “The writer of these essays has already made a reputation for himself not only in England but abroad, by his ‘Studies of the Eighteenth Century in Italy,’ and ‘Belcaro’ is hardly inferior to that remarkable book. Vernon Lee writes well about Poetry, better about painting and sculpture, and best of all about music. The essay on “Cherubini” is the finest in the volume, and is a perfect gem in its way. Nor is that on ‘Chapel master Kreisler’ much less worthy of admiration. Lovers of music will be charmed by both of these admirable essays; and lovers of painting will be equal1y charmed with the essay entitled ‘In Umbria’. 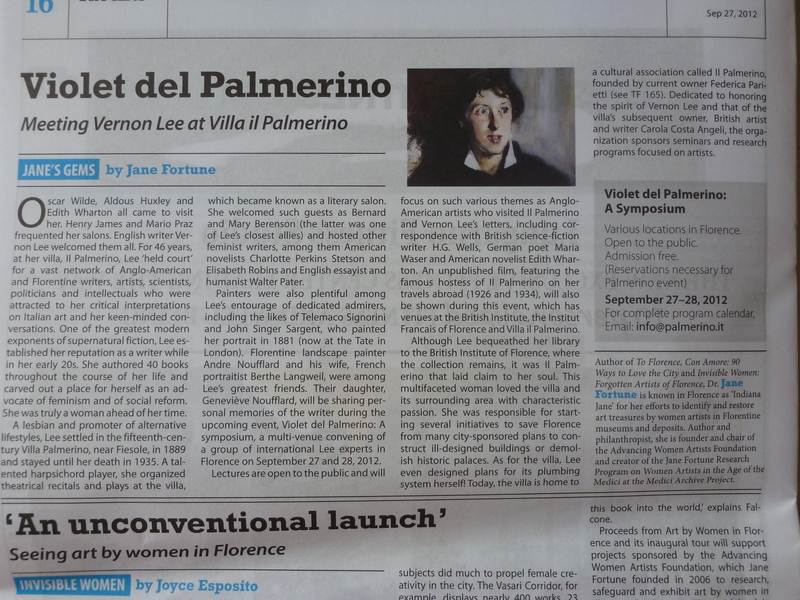 The estimate there given of Perugino and his environment and influence is masterly.” – St. James Gazette. “Vernon Lee is eminently thoughtful . . . clever, and expressive . . . subtle and brilliant and giving much grasp of mind. We could say a good deal more about this book as the product of a remarkably acute critical mind; it would bear to be read a second time and be found to repay the trouble.” – Athenaeum. “This volume contains some charming essays, and though slighter in texture than the ‘Studies of the Eighteenth Century in Italy,’ possesses much of the fascination of the earlier book. . . . He displays, in a marked degree, a vividness of fancy, a wealth of imagery and allusion, and a richness of language, but he does not sink into mere rhapsody or affectation. His style is picturesque, yet robust; rich but not luscious. He writes, in fact, like an effeminate mystic. ‘Faustus and Helena,’ to single out one of the author’s essays, that strange, weird story which charmed and yet baffled both Marlowe and Goethe, becomes a subtle and suggestive study of the supernatural before and after it was despoiled of its power by civilization.” – Notes and Queries. “The Essays on Sundry Esthetical Questions are marked by all the qualities which distinguished the ‘Studies of the Eighteenth Century in Italy.’ That work was scarcely less appreciated in Italy than it was in England, and gave its author a rank among writers in the broader aspects of art, which this book fully sustains. We recognize the freshness of the author’s thought and the vigorous, humorous expression of the style. We would express our special admiration for the essay, ‘A Dialogue on Public Morality,’ with which the volume concludes.” – Spectator. “The author has already made his mark as a capable art critic, and produced an admirable study of the eighteenth century in Italy. . . To such students this book is not only most interesting, but also very suggestive while the charm of the author’s style and his power of graphic and beautiful illustration will make it remembered by all who are likely to dip into its pages. . . . One of the charms of the book is that he allows us to see how the questions come to present themselves, how they took form and evolved themselves.” – Scotsman. “The chief merit of the volume is to be found in the fact that it of necessity sets the reader thinking. He will have his reward not only in the thoughts of the writer, but in the thoughts to which they give rise in his own mind. ‘Leeds Mercury.’ Splendid essays on art. We do not know why the writing reminds us of George Sand, but it does. Perhaps the obvious musical effect obtained by deliberate skill in placing words accounts for the likeness. Vernon Lee writes prose harmonies which are finely composed.” – Vanity Fair.